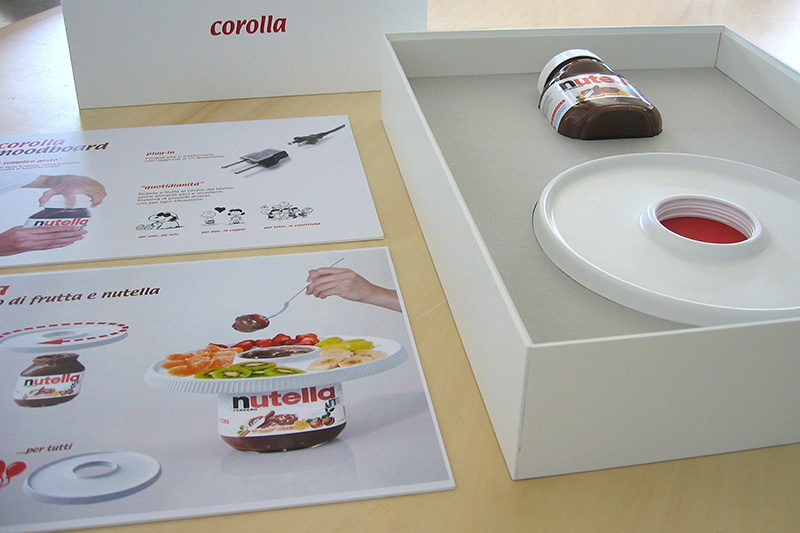 Corolla, designed with Isaac Pineiro, won first prize at the “Design for Nutella” contest, organized by Ferrero. 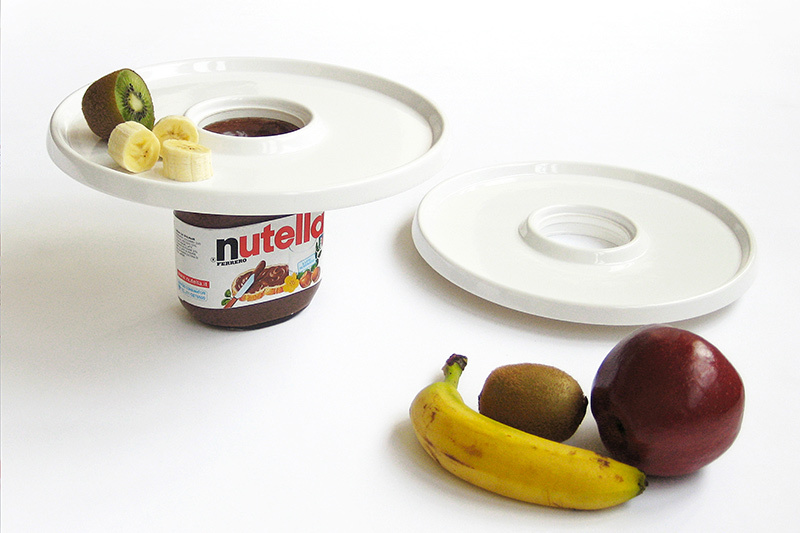 It is a circular tray that, with a simple gesture, is screwed on to the Nutella jar to create new rituals and ways of consumption. 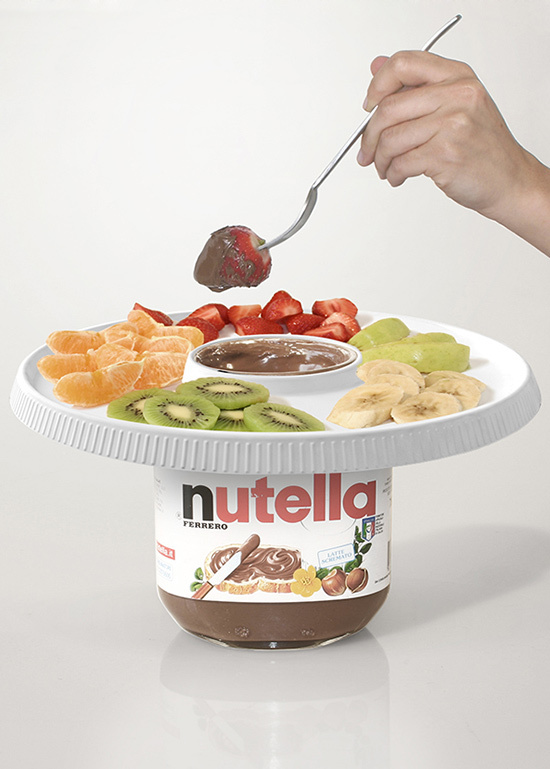 Fruit and Nutella are now put together and it makes their consumption an easy and fun experience.